Welcome to Sewer InquestPro, the latest product from SewerInspections.com. Sewer InquestPro is an innovative inspection portal and scheduler for Realtors, property buyers and sellers, and others in need of a sewer lateral inspection. You can request a new report, store and maintain previous reports, properties, images and videos, input new clients, keep a history of your previous inspections, and show your clients a great interactive report. 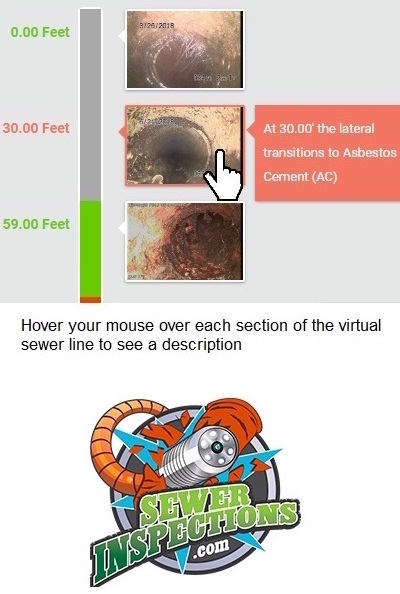 Images and descriptive pop-up windows along a virtual sewer lateral line will give you a real view on the exact condition of your line(s). And with a click of the mouse you can download your report into a PDF file. We have been providing the Bay Area with a complete range of sewer and plumbing services for over 40 years. No job is too big or too small. Our highly-skilled team is trained to provide you with the solutions you need as well as the quality you deserve. Conducting a sewer scoping during the inspection period can save home buyers thousands of dollars by detecting serious underground problems that are usually not covered by home insurance! Call us today to learn more about Sewer InquestPro, and to set up your sewer inspection today: (925) 932-5432.